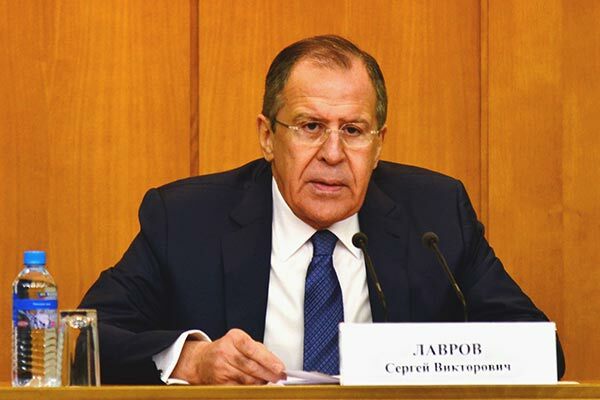 Practically all elements of a Nagorno-Karabakh settlement are “on the table”, Russian Foreign Minister Sergey Lavrov said following talks with his Azerbaijani and Iranian counterparts in Baku on Thursday. “The matter is not even about how to arrange these elements, but about some formulations,” the top Russian diplomat added, as quoted by Russia’s Tass news agency. “Today’s and yesterday’s talks here in Baku with President IlhamAliyev and [Foreign] Minister ElmarMammadyarov focused on these efforts and my meeting with Armenia’s Foreign Minister Edward Nalbandian tomorrow will also deal with it,” said Lavrov, underlining that measures to avoid further outbreaks of violence are important. Russia’s mediatory efforts come after four days of clashes between ethnic Armenian and Azerbaijani troops in Nagorno-Karabakh that left dozens of killed servicemen on both sides. Hostilities came to a halt apparently due to Moscow’s mediation and despite sporadic clashes the sides have largely observed the ceasefire effective since April 5. Russia is one of the three nations, along with the United States and France, co-chairing the OSCE Minsk Group that deals with the Karabakh conflict. The co-heads of the group are visiting Nagorno-Karabakh’s capital Stepanakert today for talks with the local leadership. The Karabakh problem is also expected to become the focal point of the visit of Russian Prime Minister Dmitry Medvedev to Armenia and Azerbaijan on April 7-8.